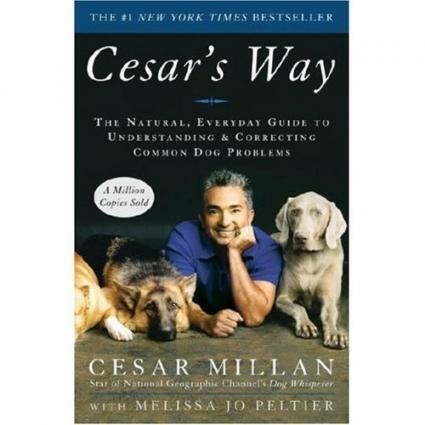 If you want to find out more about America's premier dog behavior consultant, check out this Cesar Millan biography. Cesar Millan seems to have the world by the tail these days, enjoying a successful career helping people work through behavior problems with their dogs. However, the man known as the Dog Whisperer comes from humble origins. Cesar spent many of his formative years living on his grandfather's farm in Ixpalino, Mexico, a life he loved despite the relative poverty of the region. It was here on his grandfather's farm that Cesar began making early observations about the way dogs naturally behaved toward each other and the people around them. He saw for himself that dogs living together in a pack tended to create their own hierarchy, and worked together within that communal system. He also noticed something else that would later shape his entire philosophy about managing dog behavior. His grandfather seemed to be the pack leader of his own dogs. Cesar has always attributed this fact to his grandfather's calm and assertive nature, that the dogs could sense this and naturally accepted the man as their leader. Calm, assertive leadership would become the cornerstone of Cesar's rehabilitation techniques. Cesar's family eventually relocated to Mazatlan, much closer to the border with California. Here he continued to increase his knowledge of dog behavior by reading books and watching American television shows. It was also around this time that he decided he wanted a career working with dogs when he grew up. When Cesar reached 21, he decided it was time to take his dream to America, and after much strife he managed to cross the border illegally, although he would later get his green card. Finally finding work as a dog groomer, people began to take notice of how well even the most difficult dogs responded to him. Cesar was actually putting his theory of calm, assertive leadership into practice to gain his doggie clients' trust and cooperation. Looking toward the future, he began working with problem dogs belonging to friends and acquaintances, gaining a reputation as he went. Seizing the momentum, he organized his first business, the Pacific Point Canine Academy. He eventually parlayed this initial venture into his now famous Dog Psychology Center located in the heart of southern Los Angeles. Word of Cesar Millan's unusual way of communicating with dogs and resolving the toughest behavioral issues eventually reached the media. A 2002 profile in the Los Angeles Times led to a flood of offers from TV producers who saw untapped potential for a new series. Cesar eventually chose to team up with producers Jim Milio and Melissa Jo Peltier, and the pitch for the show was picked up by the National Geographic channel. The show was an immediate success, becoming the network's top show during its very first season. If you've watched a few episodes of The Dog Whisperer, you've probably become familiar with a few of Cesar's beliefs about dog behavior. First and foremost, he always advises his clients and viewers that they can't fight mother nature. He believes it's futile to fight a dog's natural instincts, but that unwanted behaviors can be eliminated by understanding how dogs think and by working within their parameters, not ours. Although many pet lovers treat their animals like children, Cesar believes this is a major mistake that leads to confusion on the dogs' part. This in turn gives rise to the unwanted behaviors. He advises that no matter how much we love our canine companions, we still need to treat them like dogs so they know their proper place in the family pack. Cesar Millan has also stated repeatedly that dogs need three things to keep them happy and well adjusted: exercise, discipline and affection. He firmly believes owners should deliver these essentials in that order. Many dog owners offer affection first, but this can actually reinforce some behavior problems, especially issues of anxiety and aggression. He believes that if we truly focus on our dogs' needs, rather than what we want for them, the dogs will be more fulfilled in their lives. Finally, Cesar makes it clear that it's dog owners who need to be trained to work effectively with their pets. He just rehabilitates each dog's behavior. Although Cesar Millan has built a highly successful career with his dog rehabilitation methods, not everyone is a fan. The American Humane Society, the Tufts University Animal Behavior clinic and the San Francisco branch of the Society for the Prevention of Cruelty to Animals have all voiced opposition to Millan's methods. In particular, they seem to take issue with the way Cesar uses a quick tug on the leash to redirect a dog's attention and regain control over the animal. They are also opposed to his supposed use of the the alpha roll, a technique that employs rolling a dog on its back and pinning the animal in a submissive position until it relaxes. In their collective opinion, the Dog Whisperer has rolled back the progress made in dog training over the last 20 years. In actuality, Cesar's method of gaining control mimics the way dogs naturally check each other, and is not the outdated alpha roll described above. He rolls the dog on its side and uses a two finger press to mimic a dog bite. Cesar's method is an effective way of gaining submission without harming the animal. Still, the controversy seems to live on with those who do not understand the difference in technique. The Cesar Millan biography is a story that is yet unfinished. What does the future hold for this man who appears to have a natural affinity with dogs? The world will just have to continue watching to find out.